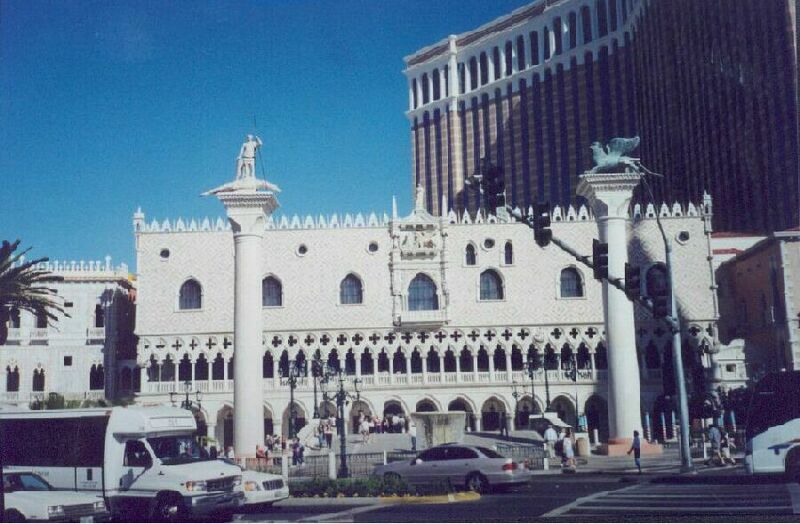 When I saw the Venetian for the first time I was absolutely amazed. It is a beautiful place both inside and outside. The Venetian is on Las Vegas Blvd. across from Treasure Island and Mirage. 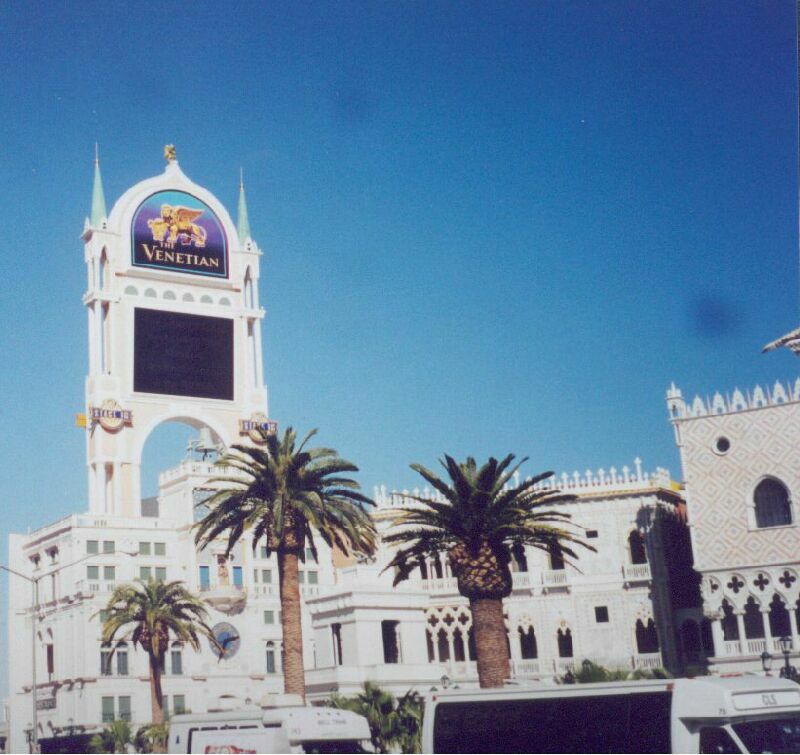 It was built on the former site of the Sands Hotel/Casino stood and opened in May, 1999. It is very large with a large high clock/bell tower at the south end and a large sign at the north end. In the center is the entrance to the casino. Behind is a large parkade and the huge hotel tower. 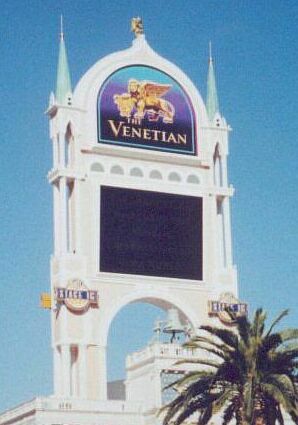 From the photos, you can not see the entire entrance to the Venetian - there is a large lagoon in front of the building and a walkway that crosses over the water. There are usually gondolas and swans on the lagoon. Now that I have been to Venice (Tour of Italy in July, 2002) I realize how much attention was given to recreating the beauty of Venice, Italy. One can appreciate the Venetian in Vegas. It may inspire you to want to visit Venice in Italy. On the next page I have included some of my photos from Venice, to give you an idea of what this unique city is like. 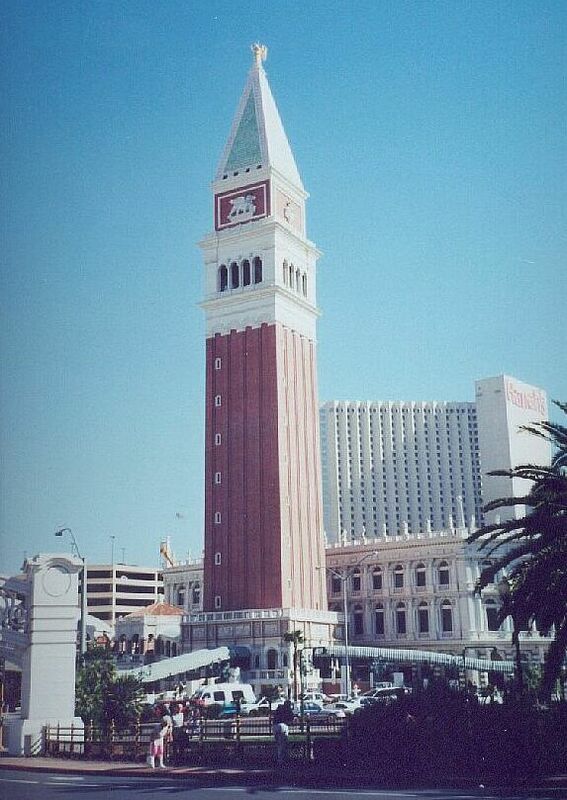 Maybe you will be able to see some similarities with the Venetian in Las Vegas.